Customers are an extremely important aspect of every business. Therefore, you need a tool to help you maintain close connections with your customers, offer customer service and streamline daily operations. A Customer Relationship Management (CRM) tool can help you achieve those goals. By moving your CRM to the cloud, you can grow your business with minimal investment and redefine the way you are currently doing business. If you want to make a change in how you are conducting business, here are five reasons to help you consider moving your CRM to the cloud. One of the greatest benefits of cloud CRM is the fact that you can gain access to relevant data anywhere and anytime. With a reliable Internet connection, you can access your customer data in the office, at home, or at a hotel, using any mobile device. You don’t have to be tied to a desktop in your office anymore. Since the cloud CRM is based on a centralized database, you and your colleagues can gain access even outside of working hours if needed. Being connected to a central database in the cloud gives you the flexibility and freedom to work no matter where you are and what time it is. Migrating to a cloud CRM could help your company save money. It reduces the high cost of purchasing hardware or licenses to run the software. With cloud CRM, you only pay a monthly subscription fee. Many cloud CRMs offer different model packages. You choose a package based on your business needs and as your business grows you can update your package at any time. If your needs change, you can also change your package. Therefore, there is a minimal upfront cost which is beneficial to small businesses that do not want to allocate a large sum of money for a one-time purchase of equipment. And let’s not forget you could save some additional money if you don’t have to employ costly IT professionals. Data security is a major concern for anyone in business. The consequences of data breaches and stolen laptops can be detrimental to your business if you don’t have data backed up. Because data security is such an important aspect of a successful business, it is the most common reason why businesses are doubtful of using cloud services. 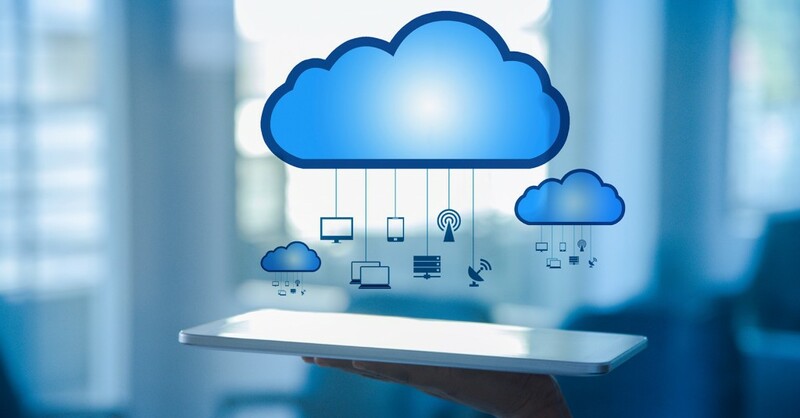 However, security levels implemented through companies that offer cloud services are very high because these companies must maintain your trust to earn profits. Cloud servicing providers ensure they have advanced backup policies and clear data recovery plans in place if a data breach ever occurs. Therefore, you can have the assurance of always being able to gain access to your data when you need it. If you feel like you need more security on your end, you can implement a two-step authentication process and create strong passwords to access data. Also, make sure to educate your employees about the dangers of accessing the CRM software when connected to public Wi-Fi – this could compromise the security of your data. Any business that grows or experiences fluctuating bandwidth demands understands the importance of flexibility. Cloud CRM tools offer the flexibility you need whenever you need it the most. When you adopt a cloud CRM, you choose the features that are relevant to your company’s unique needs. As your company grows you may decide you need more features, such as more capacity or advanced modules. Or, if your company experiences a slow period, you may feel you need fewer features. You can upgrade or downgrade features anytime. Having the control over flexibility can give you a real advantage over your competitors. Cloud CRM offers businesses outstanding reliability. Since there is a central database that houses information, there are multiple backups of data. Businesses that don’t rely on cloud CRMs may face the possibilities of their computer or network systems crashing causing loss of data. If this happens, there are more out-of-pocket expenses incurred to have IT professionals come in and recover data as well as fix hardware and software problems. By using cloud CRM, you can be assured that there is a server that has multiple replicas of data stored. If something fails in the cloud, there is a replica of data that can be immediately accessed allowing your business to continue to function normally. The benefits of moving your CRM to the cloud can help you keep a good relationship with your customers. The fact that customer data is easily accessible and secure, while the service is affordable and flexible, are some of the reasons more businesses are opting to move to cloud-based CRM tools. If you want to maintain your competitive edge in the business arena, you won’t be sorry for switching to a subscription based service that meets all your business needs.